"The Tank Boss ATO" Premium Automatic Top Off (ATO) has a number of great features built in. The Tank Boss is actually a Highly Advanced Auto Top Off, Low or High-Level Control 3 Levels of Safety and Leak Detection in one unit! Integrated with a digital timer, triple redundant safeties and an audible alarm it is the Ultimate Tank Control Unit. With six reed float switches, you are able to keep track of all your levels and even alarms you when needed. In low water scenarios, The Tank Boss has safeties to shut off your pumps and heaters, and alarms to make you aware of it. It also incorporates an overflow safety for either your tank, sump or skimmer. Another great feature is the Leak Detection Sensor with alarm to let you know if the aquarium or filters starts to leak for whatever reason. There are additional level sensors to add more redundancy. 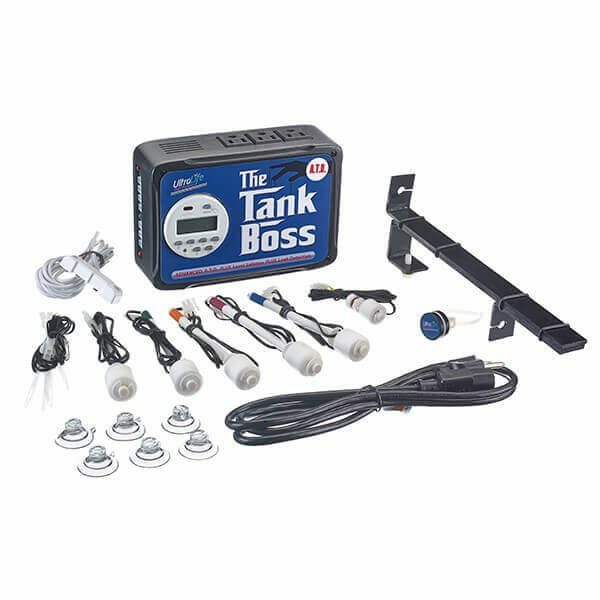 The Tank Boss runs on safe low voltage 12VDC fused protected circuitry and comes with a 3 ft. power cord and cabling, but there are 6 ft. extensions available in case you need extra length to route your sensor or float switches.